This is one of the best Stouffer Reports of all times. It's just too good to just let it sit and fade away in my inbox so I'd like to shout it from the internet rooftops. Senator Stouffer, I'm proud to have you serving as my state representative! Our mistrust of government was delivered with our colonial birth, when a distant government imposed taxes on the hard-working people it ignored. It started in Massachusetts, the cradle of our independence. Looking for folks evading taxes on goods, government elites from afar sent inspectors into homes, without warrant or warning. When patriots disobeyed, they were punished with further taxation and blocked from receiving important items from trade at their ports. The frustration led to discontent, then hopelessness, followed by war. Genius men of varying backgrounds, all well-read and some well-said — farmers, lawyers and doctors — met in private to decide a course of action. Most were supported by wives of even greater intelligence and self-sacrifice. 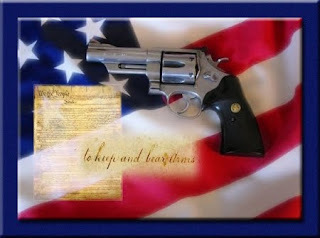 They wrote a document, a “Declaration of Independence,” that described a natural law — given by a Creator, not government. A Constitution followed, with ten amendments suggested by independent states. 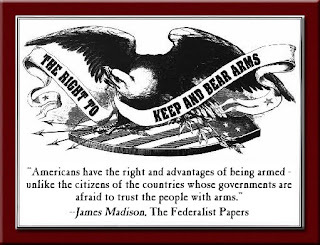 The final of these amendments, the 10th, described the sovereignty of each state. A government was to be established at the local, county, state and then federal level. The idea was that folks closest to home govern best. 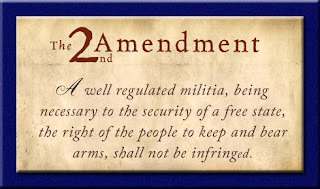 Put simply: Congress was given the authority to regulate only specific matters listed in the Constitution. Today, politicians in Washington, D.C., have the federal government regulating everything under the sun, surpassing the items that Article 1, Section 8 in our nation’s Constitution, clearly describes. I have only been in politics for a relatively short time and there is still much to learn about the legislative process. I continue to be amazed by the constant federal government bypass or tactics to swap local control closer to home for bigger government for all. Many of our current leaders have used our Constitution as a document that can be stretched into the boundaries of covering the issues of the day. That is not the original intent. Those topics were reserved for the states and local governments. The founders created the federal governments for the states, not vice-versa. This year, a number of Legislatures are taking proactive steps in restoring their state’s constitutionally-protected sovereignty. Many states are realizing the importance of working to oppose all efforts by the federal government to act beyond its U.S. Constitutional authority. I am encouraged by the number of folks reading and studying about our Constitution today. Once we truly read and understand the document, we realize how far from reality both parties have led us in the past decade. For this reason, I am working with my colleagues to pass a resolution in support of the 10th Amendment and in support of our state’s sovereignty. 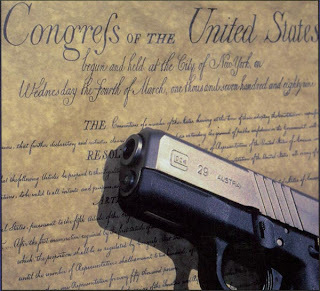 Our constitution limits the authority of the federal government to specific powers. The states have the ability to enact laws that meet its individual needs, not a one-sized-fits-all decision for the entire union. 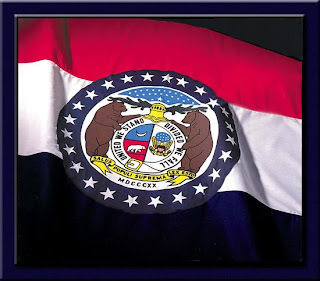 If we really want to send a message to Washington, D.C., we should start raising our Missouri flags! Paul's brother, Jason Curtman, is the Chief of Police of Bloomfield, MO and is a Concealed Carry Instructor in the St. Louis area. Chief Curtman and Sherman C. Graves have teamed up in the St. Louis Area offering courses throughout the SE Missouri area. Concealed Advantage offers courses as a fund raiser to support Paul's campaign. All fees are donated to the campaign. If you have family &/or friends in SE Missouri this is a great recommendation. Learn about the United States Constitution and Government from the founding fathers. All the things that are not taught in the schools. The 28 principals of good government. 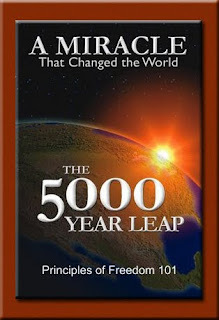 This will be a video lecture utilizing the 5000 year leap book for reference. Bring your own book. If you need a book we will have them available at $5.00 . Across the street from Westlake Ace Hardware. Saturday Feb. 13th consisting of eight hours of instruction each day beginning at 9:00 AM and ending at 6:00 PM . So that We the People will know and understand what it means when we read the Constitution. So we will be able to see all the violations of the Constitution that government is committing. So we will know how to vote for good and Constitutional laws and candidates. So we will no longer remain silent and unrepresented. This course is being offered at no cost. HJR-56 and SJR-29 are the new MO tax reform bills inspired by the national FairTax (HR-25). They have been filed and your support is critical to their success. Please join us as we kick off our lobbying efforts with the Missouri House and Senate this year. Come early and stay late to meet with your elected officials and tell them why you support MO HJR-56/SJR-29 and US HR-25. 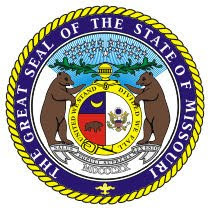 We especially need you to help us persuade the MO Senate that the people deserve the chance to see this reform initiative on the ballot in 2010. 9:00 AM to 11:15 AM - Stop by Sen Chuck Purgason's office (Rm 420A) for final schedule and last-minute instructions. Spend morning calling on your elected officials. 11:30 AM to 12:30 PM - Gather in the Rotunda for inspiration and testimony. 12:30 to 1:30 PM - Lunch near the Capitol. 1:30 PM to 4:00 PM - Continue calls on elected officials. 3:00 PM to 4:00 PM - Debrief and head for home. Hearings on the Health Care Freedom Acts, both SJR25 and HJR57, will be heard on that morning. If we can fill the hearing rooms and the halls, the leadership in both bodies of the General Assembly will know we mean business! Print and fill out 2 forms -one for each Joint Resolution. HJR57 form to Rep. Jones at (573) 526-9852. On one of the witness forms you would put SJR25 where it asks for bill number and Senate Governmental Accountability and Fiscal Oversight Committee where it asks for Committee. On the other witness form you would put HJR57 where it asks for bill number and Special Standing Committee on General Laws where it asks for Committee. The date would be January 28 for both and then include your personal information. You don’t have to put anything in the testimony part. The impact will be made when stacks of these witness forms are turned into the Senate and the House committees. Prayer paves the way but action possesses the land. I don't even remember where I heard about the first St Louis Tea Party. I knew of Dana, but didn't know much about her politics. I'd never heard of some guy named Hennessy. All I knew was the stimulus bill was a huge payoff, unnecessary, and it represented the wrong way in American politics. 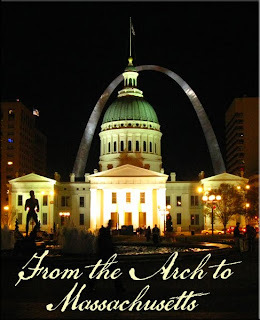 So I heard about the Tea Party and headed on down to Arch. I was alone at the time - while I had work to do - going down was something I figured I needed to do - so I took my phone, tweeted some pictures, and stood in the cold. I counted the crowd, and said there were 1500 people there. My method is published in the post. I shook hands with Ed Martin and Shamed Dogan, met a couple of videographers, and then went home and published. We of course didn't know what it meant at the time, but the people who showed at that event, and the subsequent rallies at Kiener, Washington, the health care townhalls, D.C., and Quincy would have an enormous effect on the country's direction. Obama's ratings recorded the biggest drop for any president in their first year. The Democratic legislature was stymied in its attempt to pass health care by the August recess, and now, six months later, finds itself scrambling... to lose the 41st Senate seat (in frakking Massachusetts of all places). The media is in complete meltdown mode, pants down and mask off as an irresponsible and unreliable purveyor of spin. Whatever happens today and tomorrow, and in the next year, I just wanted to say thank you to all of the folks who organized, attended, and supported the authentic Tea Party events in Missouri and across the nation. On each day, you stood up and boldy proclaimed that you were free citizens, not cowed subjects. You reminded the Beltway crowd that elections are just part of a representative democracy, and in this country, men and women are free to assemble and petition the government for a redress of their grievances. 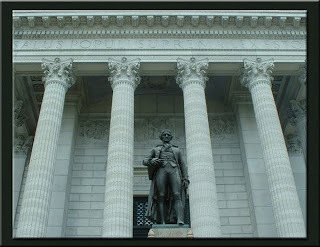 I'm going to predict that 2010 is the year the Carnahan name is finally removed from the Missouri body politic, and I believe Ike Skelton has seen the end of his legislative days as well. I think it will be a very good year for Republicans nationally, but it won't count for anything if we elect a bunch of big state Republicans that are fine with a massive government as long as they are in charge. We face a very rocky decade. We need men and women of principle who will make the tough choices to make us solvent and break the dependency of corporate and private welfare. We need legislators who serve because it is their duty, and not their meal ticket. We need health care reform that addresses the real problems, and not a single payer in sheep clothing union and donor payoff bill written in secret and passed with bribes. And most of all, we need people who are willing to call out corruption in government at all levels, no matter the party, and no matter the risk to their career. Breaking the Democratic party is not the point if we replace it with a Republican party that gives our money to a different set of thieves. If 2009 was the year of the Republican resurgence, then 2011 needs to be the rebirth of the Democratic Party as the party of fiscally responsible liberals who hold Republicans to the promises of country first. We need two strong parties who respect our laws and institutions. But in the end, we the people need to recognize that no political party is made of angels. It is our duty to watch them, and to hold them to account. We have slumbered enough. The center can hold, as long as patriots like those who stood shoulder to shoulder with me in the cold last February are willing to serve as the guardians of the Republic and our Constitution. Thank you for having me in your ranks. Let's get ready to go to work tomorrow. Emphasis & past tense editing mine. Thank you, Jim Durbin, for putting into words what we are truly all about, where we have come from and the work we have a head of us! 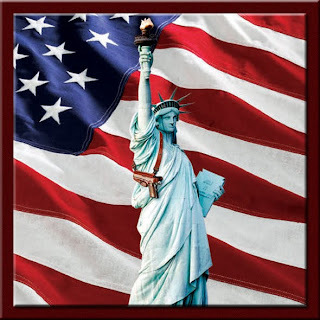 Last night's victory in Massachusetts was monumental for the Tea Party Patriot movement. The voice of We The People. The mainstream media has shot themselves in the foot by ignoring our voice because we have become a force beyond their editing. This victory is the shot heard around the world! 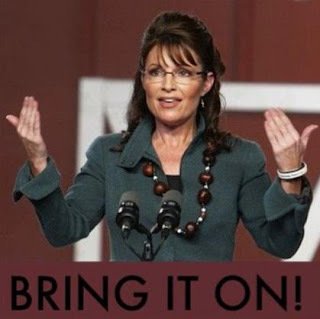 "Palin understands the GOP must capture the Tea Party message, enthusiasm, and supporters if it wants to return to power." Dr. King did not talk about remaking America. His dream was one which, in his words, was “deeply rooted in the American dream.” It hearkened back to the principles upon which our country was founded. It was not a rejection of our past, but a vision of hope based on the principles of our past. Dr. King held firm to the truths of the Declaration of Independence in a time when the situation of African Americans appeared hopeless. Based on a series of arbitrary and unjust policies, African Americans were denied basic protections of the rule of law. Segregation prevented access to public accommodations, and many were reduced to poverty as a result of these injustices. Dr. King did not ask African Americans to be satisfied with their condition, nor did he denounce America as an unjust nation. Instead, Dr. King assured his listeners that their circumstances were contrary to America’s creed. 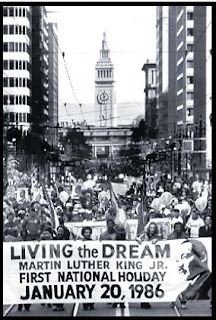 He used the central principle of the Declaration – natural human equality – as a rallying cry for civil rights. 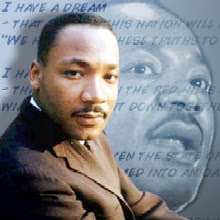 Dr. King held that the principle of human equality is the foundation of the Declaration’s statement of natural rights. We are all equal because we all participate in a common human nature. Since we are all equal, we are all entitled to the basic rights that are derived from human nature. From these First Principles, Dr. King understood that all Americans—regardless of skin color—should have access to the rule of law, public accommodations, and thereby have the ability to pursue economic opportunities and, ultimately, happiness. But Dr. King did not think that the principle of equality meant that everyone should be treated the same. He sought equality of rights and equality before the law, not equality of outcomes or equality as a result. For Dr. King, justice was when a person is judged “by the content of their character” rather than by arbitrary considerations such as skin color. Dr. King did not mean that we should treat people of good character and bad character the same. Actual equality is achieved when arbitrary standards are replaced by meaningful criteria such as talent and virtue. A just country, in Dr. King’s vision, is one in which people are rewarded for acting well. Only when we know these principles once again can we renew America. Only when we understand the significance of these principles can we grasp the nobility of our accomplishments as a people and see how far we have strayed off our course as a nation. Only then can we realize the societal choices before us and begin to develop a strategy to reclaim our future. 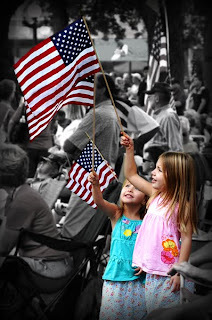 The future of America rests on returning to its First Principles. We face an unprecedented expansion of government power and a new kind of tyranny – a softer, bureaucratic tyranny. As we celebrate Martin Luther King Jr. Day, let us rely on our First Principles as a guide for the challenges we face ahead. Sarah Palin makes it clear that she is remaining a Republican. I believe that speaks volumes against the Democrat talking points and fear manipulators who are trying to discourage Republicans from jumping at the advantage of having the power of the Tea Party support. Palin just announced that she would speak at the Southern Republican Leadership Conference in April – the second-most important GOP political gathering behind the Republican National Convention. Once I take this course will I then have a license to carry a concealed weapon? Do I need to have my own gun to take this course? Would this class be appropriate for beginners or those who need a refresher? This course is flexible and is geared for ALL skill levels. An information packet with location and additional course and attendance information will be sent out to the email address supplied upon receipt of registration. Dutch treat meal will be served at 6:30 p.m. prior to the program. 70 miles by aircraft west of Fairbanks where they owned and operated a lodge and guided hunting, fishing and river trips. Their floatplane was their primary transportation in Alaska. Greg is an NRA Certified instructor in Pistol, Rifle and Shotgun, instructing Concealed Carry in Missouri. Saturday, 1/16/10 in Atlanta, MO. The purpose of this workshop is to promote understanding of gun laws and the Constitutional protections for our right to keep and bear arms.